This year marks the 40th Anniversary of the film, Jesus Christ Superstar and San Francisco's world renowned Castro Theatre is ready to celebrate. 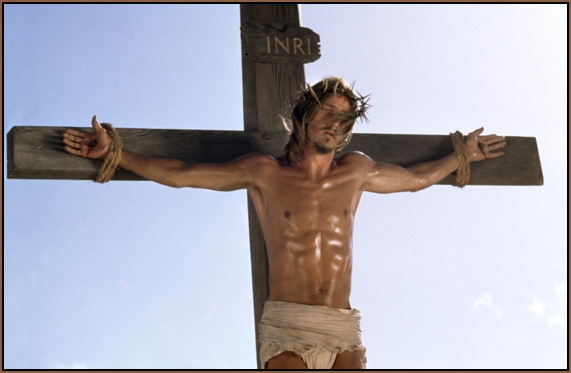 This Friday, August 23rd, the film's own superstar, Ted Neeley -- the most recognized "Jesus of Nazareth" in cinematic history -- will appear live on stage at the palatial theater for a Q&A, followed by a screening of the film in 35mm 'Scope. Directed by Norman Jewison, the film has not only survived the test of time, it has transcended beyond all expectation. It is more than a '70s movie musical. Jesus Christ Superstar has taken hold in the culture. Graven images being what they are, the vision of Ted Neeley as Jesus Christ has become iconic and his fiery Rock vocals have likewise captivated many a multitude. Neeley's compelling presence on the screen has provided four generations with a wide-open window on Jesus the man. Set against a permanent backdrop of ancient location sites, all re-imagined by the penetrating and sometimes mystical gaze of director Norman Jewison and captured by the widescreen lens of adventurous cinematographer Douglas Slocombe, this rendition of Andrew Lloyd Webber's popular Rock Opera is guaranteed to stay within reach, as is, forever. 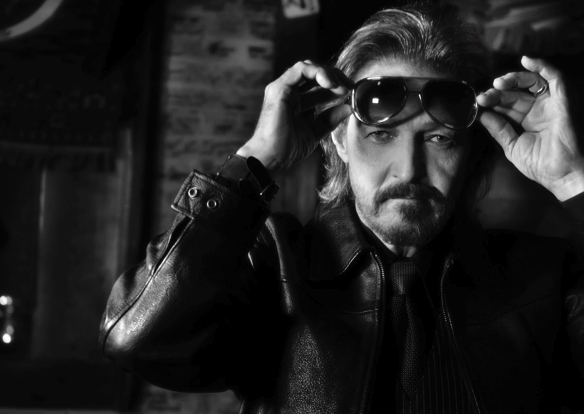 "I honestly believe that had it not been for Norman Jewison the film would never have been made," said Ted Neeley during our recent interview, "nor would it have been as successful as it was. Norman was so spiritual. He was always concerned that everybody did, what they did, well -- whether they were an actor, dancer, singer, or a crew member carrying water to the set. Norman made us feel like we had been working together forever. I was never concerned about 'what do I do now?' because I was surrounded at all times by the caring atmosphere he created. With the exception of Barry Dennen who played Pontius Pilate and Josh Mostel who played King Herod -- for everybody else, it was their first time on camera and first major motion picture. It was a learning process throughout." Ted Neeley's singing career includes screaming-out a countless number of Gs above High C, all of them packed with angst. That translates to four notes higher than the climactic tones of Pavarotti. Ted has delivered the role of Jesus more than 1,700 times. "Singing just came naturally," he says. "The screaming you're referring to was always there. Honestly, I don't know what gave me that ability other than I was just singing constantly. I was a drummer. Maybe it was the fact that I sat on a drum stool that caused me to work my diaphragm. When I first started singing, I had no idea I would ever do anything more than harmonize with the church choir -- until I started harmonizing with my buddies at school. That became the band. We started getting hired and became the most successful band in our entire area. It wasn't that we were good, it's that we were there. I had the opportunity because of circumstance. Auditioning and all of that was something that came out of whatever happened in my childhood and which gave me the confidence to do it." Some first time viewers of the film may wonder at all the reactionary buzz that happened during the film's premiere and which continues today. While some of the hollering pointed to doctrinal concerns, it is clear that a great deal of the noise was sparked by the sexual energy of the film's young adult cast. The heat was also raised by the vibrant choreography created by Robert Iscove and the contemporary costume designs of Yvonne Blake. Add to that fire the simple fact that the story had been pushed through the medium of a Rock Opera. But seasoned fans, including those who may not have experienced the film in a theatre since 1973 (and one as architecturally grand as The Castro) will marvel at the clear-sighted work of director Norman Jewison. 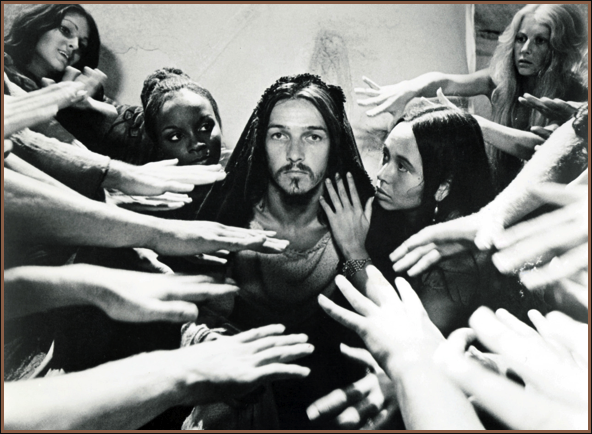 Considering the amount of powerful scholarship that has emerged within the past two decades concerning the historical Jesus -- that being his early cultural influences, his immediate family, the nature of his relationship with Mary Magdalene and Judas Iscariot -- the screenplay of Jesus Christ Superstar has proven to be amazingly resilient. "That element of negative response," said Neeley, "came out of a lack of knowledge of what the piece was about, even when we first did the show in New York. We had to literally push our way through picket lines every night just to get into the theater. It never got violent, but it was nothing like what we faced when we were doing Hair and the protests then were about the Vietnam War. Nothing like that. This was a personal thing that people took issue with, based on the fact they assumed it was blasphemous simply because it was called Jesus Christ Superstar. 'Oh, my God! Jesus is singing? With a Rock and Roll band?! That can't be good.' We had to push our way through those lines. I would say to the people, 'Pardon me, but have you seen the show?' Some would answer, 'Oh, no! I haven't seen it. I wouldn't go into that den of iniquity!' And I would respond with, 'Please come in, as my guest, and then come talk to me about what you take issue with and, maybe, we can address that.' So, they started coming in to see what we were doing. Afterwards, they would say, 'My goodness! We had no idea.' Then they came back and brought their friends. That started something I've been doing all my professional life. After every show, regardless of what it is, I stay and talk to people. It's the most rewarding experience. I wish you could sit with me and watch what happens. People talk about how this piece has touched their lives -- so deeply, for all these years. And generation after generation, people say the same thing. "Norman Jewison gives something visually that makes you stop and think. People can see the essence of Christ as a human being. That's what people have told me from the beginning. For the first time, they actually got to feel the human element of Jesus as opposed to the magnificent spiritual element they had heard about, all their lives, in the church of their choice. As a fellow human being, they can understand that he too was questioning his existence. That made it personal -- a personal relationship that brought them closer to their spiritual connection." Jesus' featured song, "Gethsemane" is an Olympian challenge, emotionally and vocally, to every singer who has signed-on for the role. In the film, Jesus is not alone in a garden nor sweating blood as he ponders the events to come, while his apostles are snoring away somewhere nearby. Instead, he begins climbing a hill and prays, "I only want to say, if there is a way, take this cup away from me." As he ascends the hill, the camera is focused down on Neeley, as if the eye of God. "For I don't want to taste its poison," he says. [Zoom to close-up.] "I have changed. I'm not as sure as when we started." The sequence occurs an hour into the film. By now we've witnessed the passion of Yvonne Elliman as Mary Magdalene and been stunned by her definitive rendition of "I don't know how to love him". Carl Anderson as Judas has reprimanded Jesus with, "People who are hungry, people who are starving, they matter more than your feet and hair!" In a major dance number, Larry Marshall as the least-known apostle, Simon Zealotes, has urged Jesus to keep the crowd "yellin' their devotion" but to spruce-up his rhetoric with "a touch of hate at Rome." Following this is the most realistic depiction of Jesus cleansing the temple ever imagined. In the midst of Neeley's frightening display of aggression and rage, Jewison reminds us that we are watching a troupe of actors (maybe from the Haight/Ashbury) who have been bussed-in to an ancient site dressed with racks of clothing, postcards for the tourists, a stall for the international money changers, piles of pottery, local produce and weed, mismatched glassware, girls for hire, and a table of assault weapons and explosives. "Hurry now while stocks still last!" Neeley turns the makeshift market place into chaos. A disturbing silence follows. "Surely I've exceeded expectations," says Jesus as he continues to ascend the hill. "I'd want to know, my God, I'd want to see, my God, why I should die." The climb becomes steeper, the boulders more jagged. Finally at the top, on the edge of a dangerous precipice, Neeley throws his arms back and screams his wrenching High G to the heavens, "Why!" [Zoom to close-up.] "Why should I die? You're far too keen on where and how, but not so hot on why!" "I come from a very small town background in Texas," says Ted. "Religion was so much a part of everybody's life. In a place of about 2,000 people, everybody knows everybody, and church is what it's all about. I wasn't even aware of the Gnostic Gospels until I fell in love with doing this piece. Had I not had the overall background that I was so fortunate to find as a child, I would probably not have been able to do any of this. On the set, Norman Jewison would say to the cast, 'Along the way, if any of you need Biblical lessons, talk to Ted. He's the expert on that.' But I'm not an expert! I never was an expert. I had a deep-set religious background from the day I was born. I was in church all the time. Nobody forced me. It was a choice. I enjoyed the process -- being able to sing with a bunch of people everyday. That's what it was about. I had that 'study hall' all of my life. So, when this piece came up, I saw it for what it was -- an adaptation of the last seven days of Jesus Christ, as seen through the eyes of his contemporaries, all of whom saw him as a man. I accepted that going in." I shared with Ted an observation from Dr. Camille Howard, a professor of Theatre Arts at San Francisco State University, who would say to her students, "The Theatre is my church. It is where I express my truth." In very many ways, Jesus Christ Superstar has been an enduring source of healing and motivation, a place for truth-telling. Ted Neeley has certainly been hanging in there with it, literally and figuratively, for a long-long time. "I could not be more personally honored, in any possible way," he said, "than having the opportunity of this experience. It has formed my life. It has changed everything for me, continually and in a positive manner. I will be forever thankful for that."